The same performance as the PROPULSE TEAM BPM for junior players. The same performance as the V-PRO All Court for junior players. 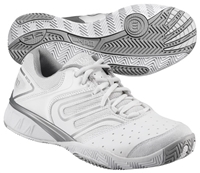 Lightweight, flexible, and bright, the Wilson Kaos Comp Junior tennis shoes is a sure winner! The same performance as the PROPULSE BPM for junior players. An ultra-innovative, all-court shoe that’s even more explosive than ever!